This section consists of the four letters the Apostle Paul wrote to three individuals: two to Timothy, a young pastor who was serving in the church at Ephesus; one to Titus, another young man of God who was serving the fellowship on the small Mediterranean island of Crete (about 10 miles off the south shore of Corinth); and one to Philemon, a prominent slave owner and brother in the faith in Colosse. Paul counsels Timothy on the problems of false teachers, public prayer, the role of women in the church, and the requirements for elders and deacons. He stresses sound doctrine and orderly church government. Paul describes the true servant of Jesus Christ. He warns of the apostasy (rejecting spiritual beliefs in favor of an opposing belief) that had already begun, and he presents the Word of God as the remedy to correct all error. Paul writes to a young minister named Titus who is serving God on the island of Crete. He lists the requirements for elders and instructs Titus in his duties relative to the various groups in the church. Written from prison Paul appeals to Philemon, a wealthy Colossian Christian, to forgive Onesimus, a runaway slave, and to regard him no longer as a slave but as a brother in Christ. Paul realizes that the task before Timothy at the church of Ephesus is most challenging. Timothy must eradicate false doctrine, safeguard public worship, and develop mature leadership. At the same time, Timothy must be on guard to not let his youthfulness become a liability. And finally, he must be careful to avoid false teachers and greedy motives, but should instead pursue righteousness, godliness, faith, love, perseverance, and the gentleness that befits a man of God. Really, one could refer to this letter as a "Leadership Manual for Church Organization". Paul is trying to encourage his young assistant to become an example to others, to exercise his spiritual gifts, and to "fight the good fight of faith." Timothy's public and private life must be above reproach; and he must be ready to deal with matters of false teaching, organization, discipline, proclamation of the Scriptures, poverty and wealth, and the roles of various groups. PURPOSE: Paul wrote this letter to a co-laborer named Timothy who was ministering as an interim pastor in the church at Ephesus. The book concerns some of the problems and needs which existed in this church, but it can be considered good instruction for all churches in all ages. 4:12 "Let no one despise you for your youth, but set the believers an example in speech, in conduct, in love, in faith, in purity." 6:11,12 "But as for you, O man of God, flee these things. Pursue righteousness, godliness, faith, love, steadfastness, gentleness. Fight the good fight of the faith. Take hold of the eternal life to which you were called and about which you made the good confession in the presence of many witnesses." Paul's second letter to Timothy was written from prison. Paul wants to encourage Timothy by assuring him of his (Paul's) continuing love and prayers, and he reminds Timothy of his (Timothy's) spiritual heritage and responsibilities. At the same time, however, he warns Timothy that his teaching will come under attack as men desert the truth for "ear-tickling" words. 1:8-10 "Therefore do not be ashamed of the testimony about our Lord, nor of me his prisoner, but share in suffering for the gospel by the power of God, who saved us and called us to a holy calling, not because of our works but because of his own purpose and grace, which he gave us in Christ Jesus before the ages began, and which now has been manifested through the appearing of our Savior Christ Jesus, who abolished death and brought life and immortality to light through the gospel"
3:14-17 "But as for you, continue in what you have learned and have firmly believed, knowing from whom you learned it and how from childhood you have been acquainted with the sacred writings, which are able to make you wise for salvation through faith in Christ Jesus. All Scripture is breathed out by God and profitable for teaching, for reproof, for correction, and for training in righteousness, that the man of God may be competent, equipped for every good work." LIFE AND MINISTRY PRINCIPLE: The divine pattern for multiplication of the Gospel message is "each one teach one to reach one." Study the use of the word "charge" [as in "command"] in 1 and 2 Timothy. 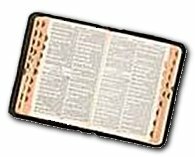 What are the things Paul charges [commands] Timothy to do? Study the word "faith" used in these two books. What does Paul say regarding the faith? These two books contain much about the ministry of teaching. Study all that Paul writes regarding teachers, teaching, and the responsibility to teach. Study the word "godliness" in 1 and 2 Timothy. Summarize what is taught regarding godliness. Read Paul's summary and evaluation of his own ministry in 2 Timothy 4:6-8. The Apostle Paul has installed Titus, a young pastor, to oversee and set in order the churches in Crete. Not only does Paul instruct Titus to appoint elders to supervise or manage the work of the Church, but he instructs him in requiring all members to excel spiritually. Men and women, young and old, all have their vital functions to fulfill if they are to be living examples of the faith they profess. This short letter focuses on Titus' responsibilities in the organization and supervision of the churches in Crete. Paul's intent in this letter is to strengthen and exhort Titus to firmly exercise his authority as an apostolic representative to churches that need to be put in order. The task that lies ahead for this young pastor is not an enviable one, as he will have to refute [prove to be untrue] false teachers and dissenters, and replace immoral behavior with good deeds. 2:11-14 "For the grace of God has appeared, bringing salvation for all people, training us to renounce ungodliness and worldly passions, and to live self-controlled, upright, and godly lives in the present age, waiting for our blessed hope, the appearing of the glory of our great God and Savior Jesus Christ, who gave himself for us to redeem us from all lawlessness and to purify for himself a people for his own possession who are zealous for good works." 3:8 "The saying is trustworthy, and I want you to insist on these things, so that those who have believed in God may be careful to devote themselves to good works. These things are excellent and profitable for people." LIFE AND MINISTRY PRINCIPLE: Founding a good work is not enough. That work must be established and organized according to the principles of God's Word. For the geographical background of Crete, see 1 Samuel 30:14, Ezekiel 25:16, Acts 2:11 and 27:17. 1 Timothy: _________________________ the Gospel. 2 Timothy: _________________________ the Gospel. Does Christian brotherly love really work? For example, will it work between a prominent wealthy slave owner and a runaway slave? That is the question assumed in Paul's letter to Philemon, a prominent Christian in Colosse as he writes to Philemon on behalf of Onesimus  a deserter, thief, and formerly worthless slave, and now Paul's and Philemon's brother in Christ. Paul not only asks Philemon to receive back Onesimus with the same grace he would extend to Paul, but Paul also promises to repay or restore whatever Onesimus owes to Philemon. Knowing Philemon personally, Paul is confident that brotherly love and forgiveness will prevail. Just as Philemon was shown mercy through the grace of Christ, so now Paul asks him to graciously forgive his repentant runaway. This letter is also addressed to a few other Christian's known to Philemon because Paul wants it to have an impact on the Colossian church as a whole. PURPOSE: To appeal for Onesimus, the runaway slave of Philemon who had become a believer. The book serves as a practical example of Christian principles applied to social relationships. It also illustrates the principle of forgiveness, and the ministry of intercession. KEY VERSE: 1:10&3151; "I appeal to you for my child, Onesimus, whose father I became in my imprisonment." and extra room for guests (1:22). He was a man who cherished relationships: Onesimus, Philemon, and others he salutes in the chapter as well as in other epistles. Make a list of things you learn about Onesimus from this chapter.